just a little something to add, hopefully we can get it going. (1st pic...) ...and downtown Berkeley, where I am working now...or rather got off BART and then walked up Shattuck to North Berkeley. This is a terrific shot of our Great UrbanPlanet of SF!!! I believe this is somewhere near North Beach or Telegraph Hill??? 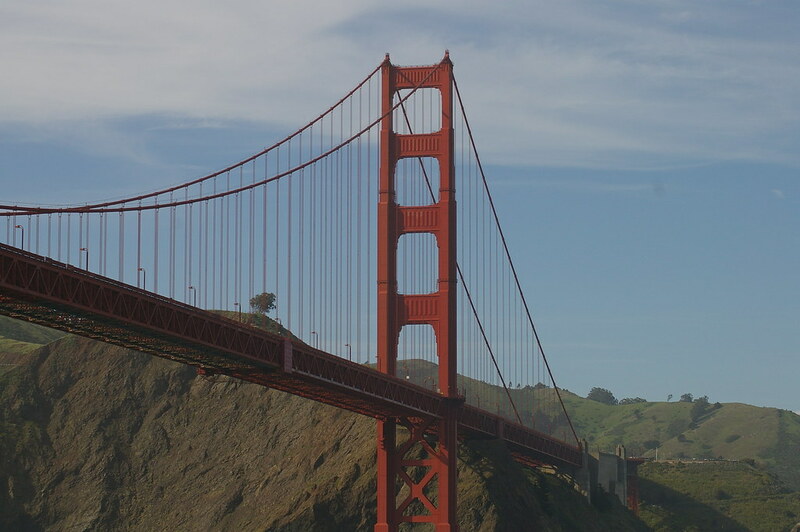 What can one say about the GG Bridge...save it's spectacular & it remains my favorite BRIDGE in all the world. I don't know if I said here, but golden gate is amazing, but I was more amazed by the bay bridge, basically its size alone amazed me. great picture, its very dynamic. and great picture of the bay bridge. two parts of SF skyline. This is by far one of my favorite skyline images of The City...which is seen if you're coming over the northeast part of Bay via Ferry from Vallejo...I love it. nice picture of the sunset. We went to Sunset rock or sealion rock or whatever right by the ocean and we saw a great sunset. I don't remember the name of the palce though. thats pretty cool. to be honest I don't think there is one bad spot.. if you are in the gully its amazing to see the hills.. if you are on the hills its amazing to see everything else.